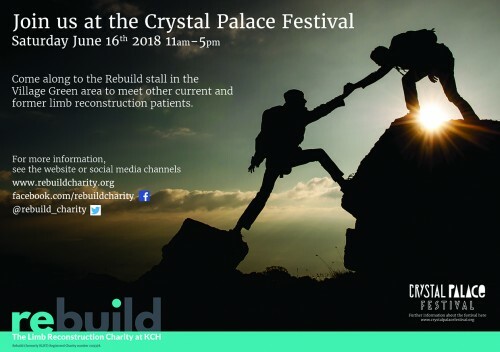 Come and meet other current and former limb reconstruction patients, as well as some of the Trustees, at the Rebuild stall at the Crystal Palace Festival on Saturday June 16th. We are located in the Village Green area, so very easy to find. Carols by Candlelight concert Gary Morgan raises more than £3000 for Rebuild!